Local Santa Barbara sponsors joined forces at Fess Parker Double Tree Resort to support the 2017 Alzheimer’s Association in Santa Barbara, where the event team for EdwardJones lead the way as the National Presenting Sponsor, and additional sponsors supporting the walk included Brookdale Senior Living solutions, Pacific Premiere Bank, Central Coast Home Health & Hospice, Blondes and Brunettes, community sponsors Jenny Schatzel Program, Moving Miss Daisy, and Santa Barbara Humane Society along with so many others. Central Coast Home Health & Hospice team members brought their family members to share in the excitement and get event passports signed. Walker and runners came with their pets, and the Bishop Garcia Diego cheer leaders gave them a great kick-off! The event lunch was provided by Pilgrim Terrace on the waterfront. Alzheimer's disease is a growing epidemic and the nation’s sixth-leading cause of death. Since 1989, the association has mobilized millions of American supporters in their Memory Walk and now continue to lead the way with the Walk to End Alzheimer's. The Central California Chapter is headquartered in Santa Barbara, and they have regional offices in Kern, San Luis Obispo and Ventura Counties. For additional information or to make a donation visit: alz.org/CACentral or call 805-892-4259. The Santa Barbara Lawn Bowls Club celebrated it's 80th anniversary in October at Spencer Adams Park, the site of the first Santa Barbara High School. Both Santa Barbara County Supervisor Das Williams and City of Santa Barbara Mayor Helene Schneider presented proclamations commending the club that was formed in 1937, and shared what a great contribution its members have made to recreation in the downtown area. Bud Viard, past president gave a fast and fantastic history of the club, and President Sharron Adams accepted the awards on behalf of the SBLBC board and members. 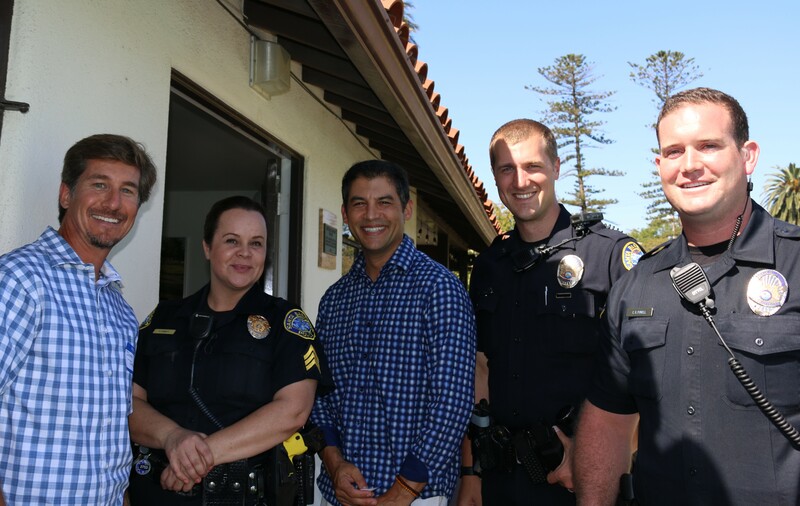 In attendance was Jerry Jordano, partner Central Coast Home Health & Hospice event corporate sponsor for the SBLBC luncheon, along with members of the Santa Barbara Police Department including Sargent Kasi Corbett, Officer Kyle Rapp and Officer C.J.Powell who enjoyed taking a lawn bowl lesson from past president Tony Cunningham. The exhibition bowl game before the awards luncheon included a crowd of energetic SBLBC members who thoroughly enjoyed the morning “up down” game. 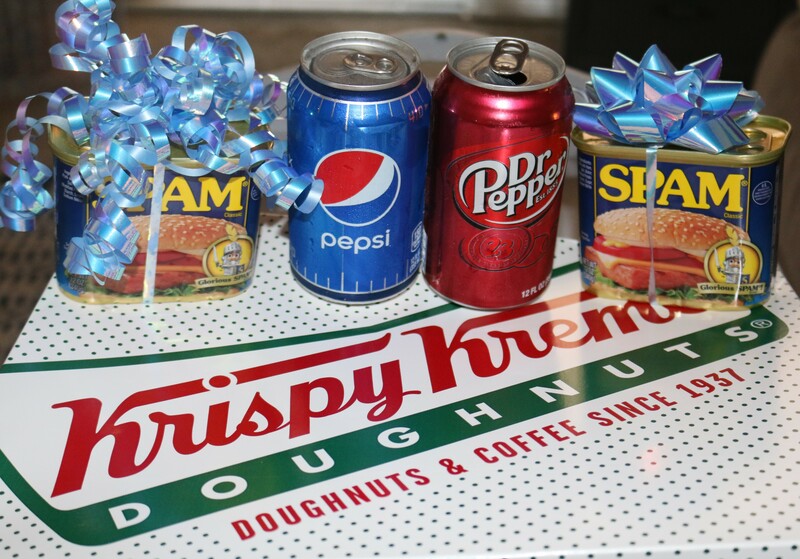 When SBLBC began in 1937 countless new food and beverage products were introduced in America including Spam, Krispy Kreme Donuts, Dr. Pepper, Pepsi, Dad's Old Fashioned Root Beer and more.The outstanding luncheon that included these 1937 products was coordinated by Denise Foxwell and her staff of volunteer members. Fine wine was donated by Margerum Wines and dessert included some French cookies thanks to Renaud's Patisserie. The Anniversary cake was enjoyed to the sounds of 1937 “Big Band” records that could be heard throughout the club Lanai. A wonderful time was had by all. 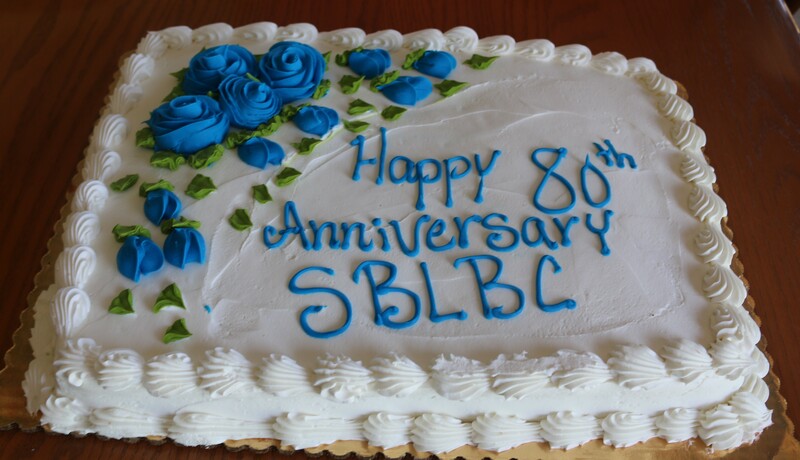 Congratulations SBLBC! Visit: www.santabarbaralbc.org. For additional information. Ridley-Tree Cancer Center Opened last month to the delight of everyone in Santa Barbara. Imagine if you took some of the finest cancer doctors in the nation, gave them a highly skilled and compassionate staff, two Elekta Versa HD linear accelerators, the most genetic councelors in the region, two national clinical research networks, and housed it all in a new state-of-the-art Cancer Center. Now open your eyes. It's here. The Ridley-Tree Name? The reason for the name is Lady Ridley-Tree who has been a tireless supporter of many causes important to Santa Barbara. A woman who has put her resources to work to ensure every life can be enriched and lived well.